With the Amazon app store coming pre-installed on new BlackBerry 10 phones, Amazon is continuing to improve the support given to developers. 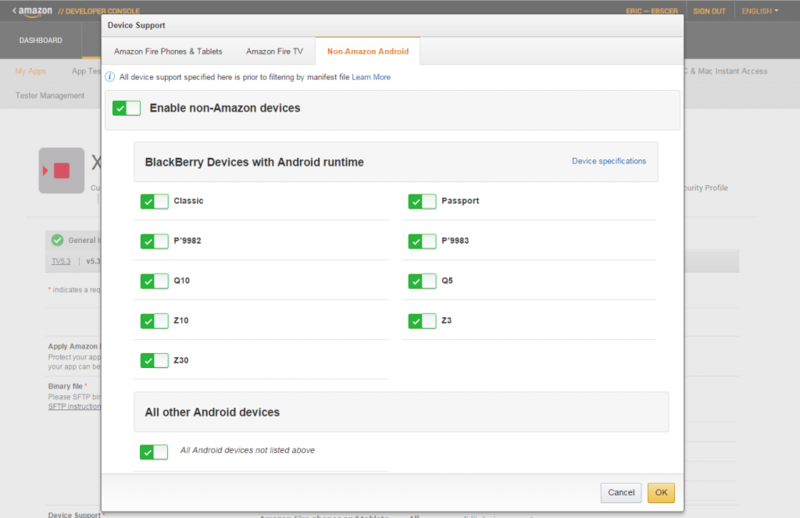 Last month Amazon began explicitly adding BlackBerry phones to their testing procedures, and now they are giving developers the option to individually select support for various BlackBerry phones. Previously all BlackBerry phones were just included under the generic “all other Android devices” category while a specific per device breakdown like what is now offered was only available for the Amazon Fire line of products.